Design freebies can save you time recreating assets from scratch. If you search hard enough you can find everything from icon sets to UI kits and free stock photos too. Over the years freebie sites have come & gone. The best have risen to the top and that’s what I’m covering in this post. 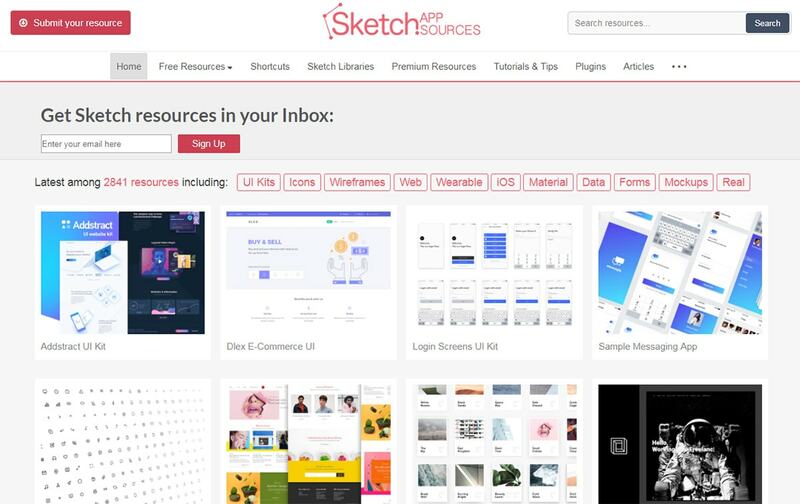 I’ve organized the best design freebie sites on the web for every design program from Photoshop to Sketch and Illustrator. No matter what you’re looking for there’s a good chance you’ll find it through one of these resources. Undeniably the best resource for everything design is Dribbble. This is an invite-only social network for designers to share their portfolio pieces and recent design projects. 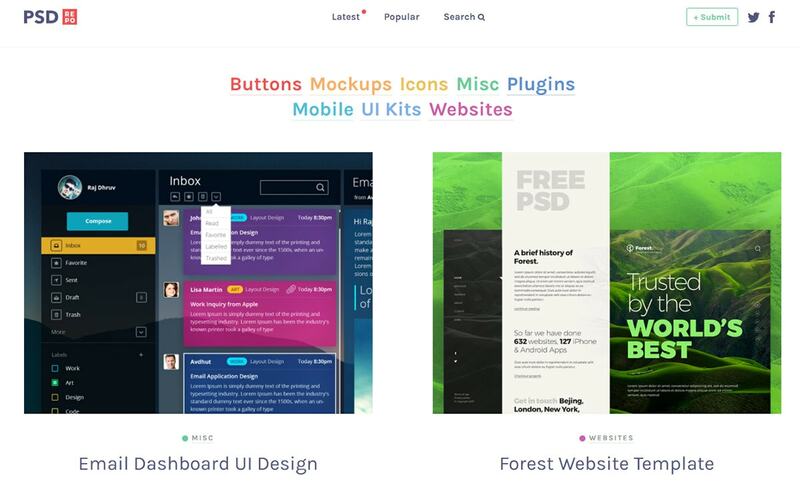 Many designers also use this site to promote their freebies. Some designers host them right on Dribbble, others link to their blog for a direct download. But in either event you can find a ton of amazing freebies right in Dribbble’s search page. In fact this site is so packed with freebies that other websites exist just to curate all of Dribbble’s free assets. The two sites Fribbble and DB Freebies are both great examples. Some designers also use Behance to release freebies, however that site is a public network so anyone can join. This means there’s a lot of noise to sift through if you’re looking for specific freebies like UI kits. I mostly recommend Dribbble because it’s clean and full of the best design talent. This should be your first stop when scouring the web for digital design freebies. One of the oldest freebie resources on the web is 365PSD. It has a massive archive dating back over 5 years with tons of free PSD files. You can find absolutely everything in here. Icons, UI kits, vector elements, full website mockups, everything. Plus they’re still releasing new freebies all the time which makes this a truly valuable asset for designers. Pretty much anything you’re looking for can be found in this gallery. It’s not a complete resource but with 5+ years of daily freebies you’re bound to find something in here that fits whatever you want. Note: the best way to browse is from the free PSD categories in the top menu. Hover the “free PSD” section and you’ll find dozens of categories from logos to web mockups and everything inbetween. The Designer Mill website is a newer addition to the web but it’s another very valuable asset for designers. This site curates design freebies from everywhere so it acts more like an aggregator for digital freebies. You’ll find plenty of PSD files but also a lot of Sketch files too. This program is a lot cheaper than Adobe and it’s quickly becoming the preferred choice for digital designers running OS X. Categories are listed in the sidebar so you can browse through those to find whatever you’re looking for. These include number counts for the total items in each category so browsing is a cinch. I do think the interface could be updated for easier browsing, but this aggregator is certainly one of the best for freebies of all filetypes. The PSD category features the most content with over 1,200 freebies and counting. The majority of these are iconsets and digital mockups but there’s also a good number of UI kits and mobile app interfaces. Everything else is much smaller by comparison although new freebies get published all the time. Freebiesbug is one of my go-to resources for free assets because the quality is superb. You won’t find garbage freebies here since they’re all vetted by the editor and only published if they’re high quality. But again this site works like an aggregator so the download buttons lead you towards the original freebie source. The best thing about PSD Repo is the clear organizational structure. Each freebie has its own color-coded badge so you can quickly browse through archive pages to find the assets you need. Their search feature is also pretty good and they have tons of freebies that don’t usually get curated on other websites. However this website is another curation archive so it does not host the files directly(not all of them anyways). The ones hosted off-site are marked as such on the download buttons. 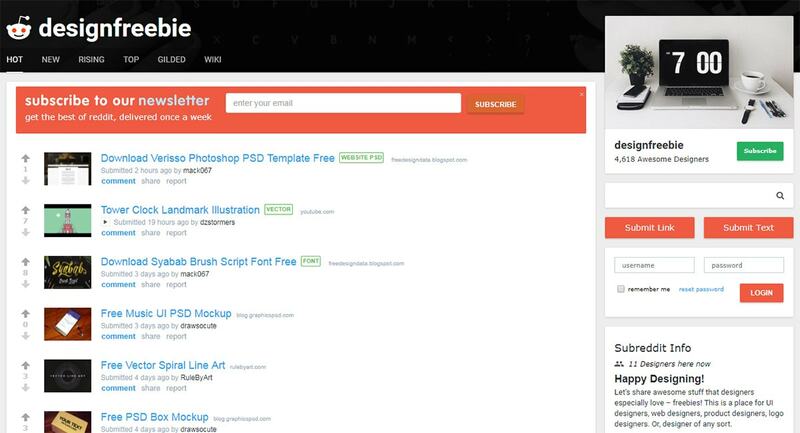 If you can’t find what you need on Dribbble or the other PSD sites then check PSD Repo. It’s a nice alternative resource that doesn’t have a ton of volume but does have a good variety. Every Sketch user must know about Sketch App Sources. It’s the ultimate website for absolutely everything on the Sketch software. Tutorials, shortcuts, plugins and design freebies are all part of this massive website. It acts more like a portal to Sketch design work and it’s a handy site for beginners and experts alike. Pretty much every single Sketch freebie you can find online is listed here. 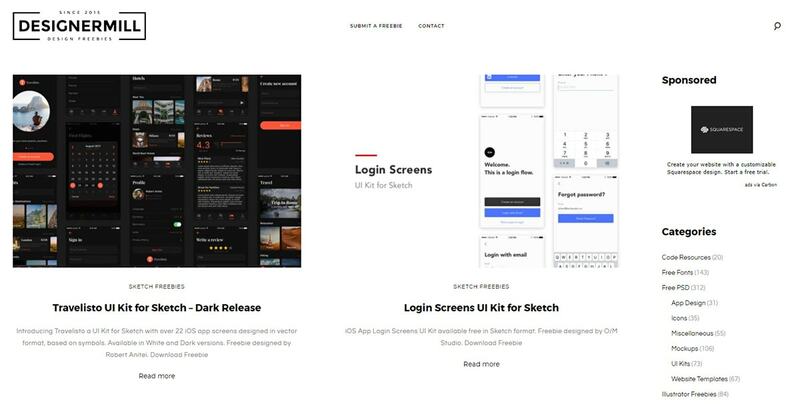 It hosts the definitive gallery of all Sketch design freebies with mockups, iconsets, app icons and so much more. Browse through the freebies page to get a taste of what’s in here. These files actually have direct download links on the page so even if a freebie gets deleted from the original source(like Dribbble) you can still find a copy on Sketch App Sources. Another upcoming design program is Adobe’s Experience Design called Adobe XD for short. This program is meant to replace Photoshop for web/UI work so digital designers would stick to XD for interfaces and use Photoshop for photo manipulation. But it’s still in beta for Windows & Mac so it’s not a fully stable platform. That hasn’t stopped designers from publishing their own assets on the web for free. 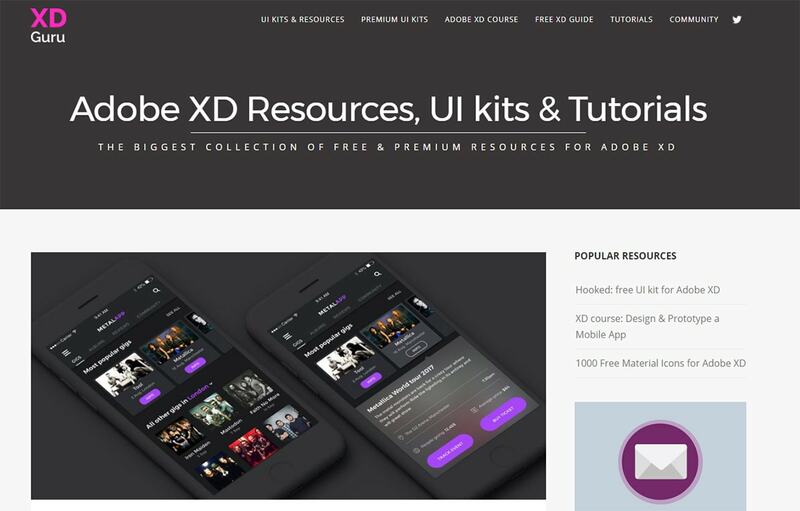 And the best ones have been curated on XD Guru which is like the portal for all things Adobe XD. This site includes free tutorials, videos, guides, and of course tons of freebies. Once Adobe releases the full version for all operating systems you can bet this site will become a staple for anyone using the XD program. If you search on Google you can find thousands of free icon sets. It seems almost impossible to search through them all since Google’s SERPs only show 10 items per page. Thankfully there are better options like Iconfinder. This free webapp works like a search engine for open source icon sets. You can search for whatever specific icon you’re looking for(ex: magnifying glass) or you can search by icon style(ex: flat, material, gradient). Each search page includes results from different icon sets so you can browse through and see which ones grab your attention. Plus Iconfinder offers their own premium icons if you wanna go that route. It’ll cost you but it’s also not required since you can find millions of free icons with just a few keystrokes. The subreddit /r/designfreebie is pretty small but also extremely focused on this one specific topic. It’s a massive collection of digital design freebies including PSDs, fonts, vectors, gradients, PS layer effects and so much more. With only 4k subscribers this subreddit is surprisingly active with a few posts every day. Each link goes to the primary source of the freebie so you have direct access to hundreds of design assets right at your fingertips. Most of the brushes and font families can vary in quality so you may wind up digging through a lot of garbage before you hit gold. But many of these freebies do not get aggregated to other websites so they’re typically exclusive on Reddit. This makes /r/designfreebie a valuable resource to bookmark or subscribe and check a couple times a week. There are other smaller freebie sites on the web but many of them force you to sign up before downloading, or require a social share, or mix in too many premium items with freebies. I find those sites disingenuous and partially against the spirit of design freebies. So I hope this collection offers enough to get you started searching and downloading whatever freebies you need for your next design project. Nice sites to find free design assets. Thanks! The Noun Project is pretty good too.